"We had a great time staying at the hotel." Have a question for Vest Grand Suites? "Staffs are highly commendable and helpful." "it is well maintained and clean." "Their staff is pleasant and food is truly, truly good!" "The rooms were very spacious and the beds were comfortable." 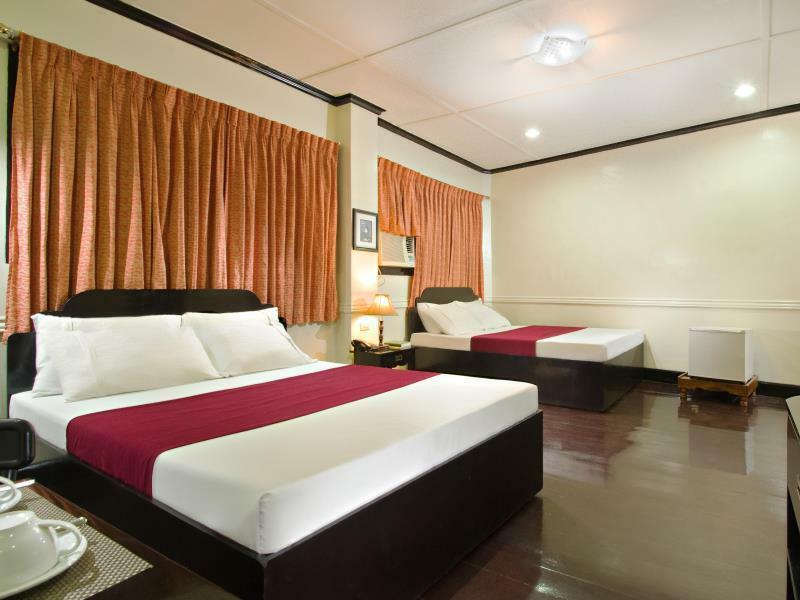 Situated in the residential area of Tagbilaran City, this hotel provides convenient access to the tourist attractions including Philippine Tarsier and Wildlife Sanctuary, Simply Butterflies Conservation Center and Punta Cruz Watch Tower. The hotel is proximity to the scenic attraction of the city such as Hinagdanan Cave, Mag-Aso Falls, Dimiao Twin Flass and Inambacan Falls. Boasting 16 well-appointed guestrooms, all are stylishly decorated in a European chalet design and featured with standard amenities including air-conditioner, cable TV, telephone and private bathroom with hot and cold shower. Local and international cuisines are offered at the onsite restaurant of the hotel. Offering guests to spend a relaxing time with family and friends, this hotel is an ideal place to stay while in the city of Bohol. "Everyone super friendly and helpfull"
The hotel exceeded my expectations. 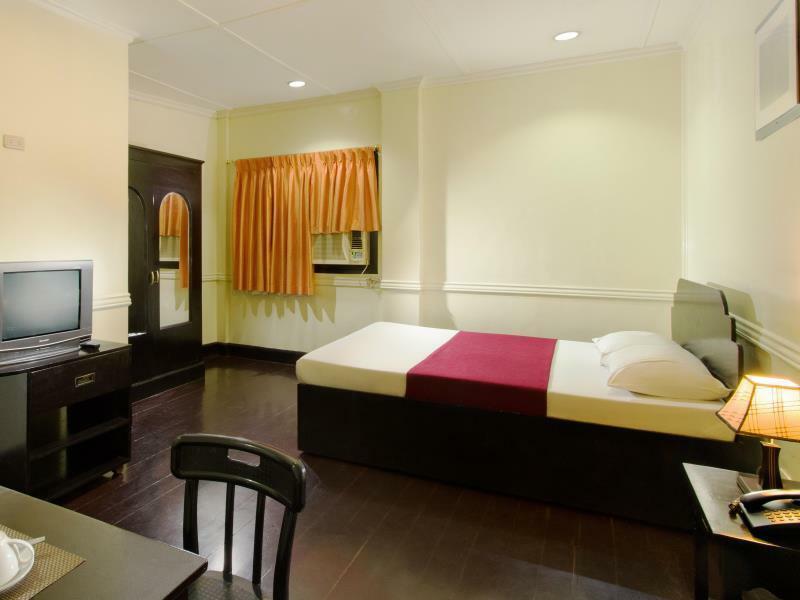 Clean comfortable room, good AC and WiFi. Best sleep I had on my trip. A few steps away from tuk tuk service that will be bring you to town (the ride takes about 5 mins. or less) for only 20 pesos. This is a good place and a great value. We booked two deluxe rooms for three nights, at a competitive, affordable price. The rooms were very spacious and the beds were comfortable. The rooms were clean but the furnishings appeared to be quite dated. We encountered some small cockroaches in the bathroom and cabinet of one of the rooms (staff were quick to spray them). The floors are timber so heavy footsteps in the hallway can easily be heard, which started early each morninng. Location is quiet but not walking distance to anywhere (about a ten min tricycle ride to the nearest mall, although we preferred the larger Island City mall). The staff of the Best Grand Suites were exceptionally friendly and helpful - they always made us feel very welcome and they were responsive to all our questions & needs. Their free shuttle service to and from the port was also gteatly appreciated. Breakfast (selected from a menu) was both generous and delicious. In summary, we enjoyed our stay and we would be happy to return. Thank you everyone! We had a great time staying at the hotel. The room was so huge for a couple, though the design was a little bit old but clean and comfy , accessible to our venue. Breakfast was very delicious and satisfying. I didnt expect it to be that much, 1 plate will sustain your whole morning. Thanks for that wonderful treatment :) God bless. Spacious room. Nice breakfast. Great service. They even sent us to the port for free! We like to stay in the Vest Grand Suites. The price is abslutely OK, you can get for less money a good breakfast and the Hotel employees are very friendly and helpful. The next time we will go in this Hotel again. They had free pick-up from the airport, good staff, hotel is like a home, breakfast was just okay. It's near the airport and near to restaurants and stores. Overall it's a good stay if you're in a budget. friendly and accommodating hotel staffs!.. 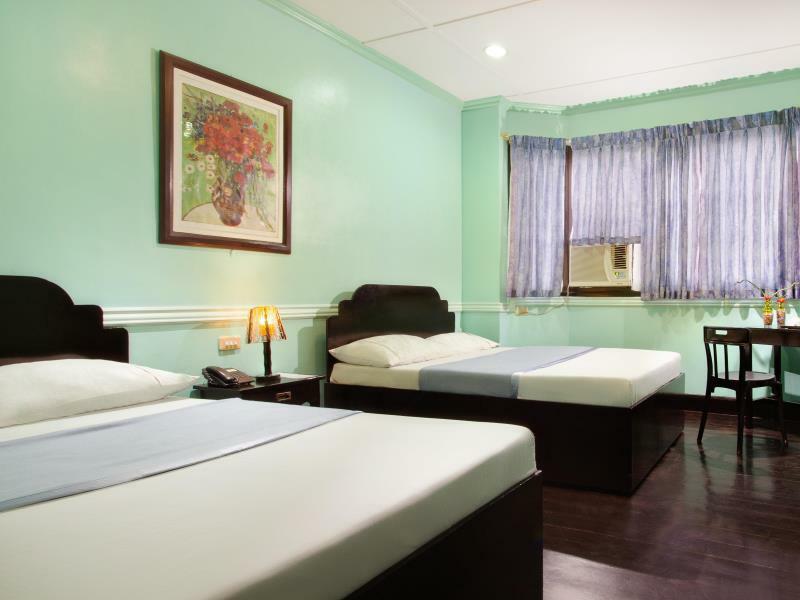 whenever i travel to bohol, one of my best choices is vest pension house,i like the room, its so clean ,both AC and shower are working though my only complaint is the noises whenever people uses the stairs is sort off disturbing but somehow manageable. the breakfast is good and services are amazing. we stayed three nights at vest pension. we were greeted at the airport by their free shuttle service. we booked three days of tours with virgie. her husband, dexter, was our driver. very nice guy! i saved pesos booking with virgie compared to other booking agencies. there.s free hot breakfast with juice or coffee. we had massages done in our room. when we get back from our tour, the rooms were clean and done. great value for the service you get. it's in the city proper, and surrounding residences, but very safe and quiet. nice room, but needs a bit of upgrading. thanks agoda! one of the best place i've stayed in while in bohol. not as fancy as other hotels and resorts, but i like how they made it really homey. the room was very clean and spacious which is great specially when you're traveling with family. the staff was very accommodating and friendly. always willing to help no matter what time it is. great value for your money. my stay was great because i had good time talking with the staff specially with the security guard, if you want massage after long day ask him. hotel was ok, you are in province so dont expect a 5 star amenities, and they are cheaper compare to other hotel. free breakfast is a plus but the place to eat is small so they deliver our breakfast in our room without any charge, over all im satisfied with their customer service. 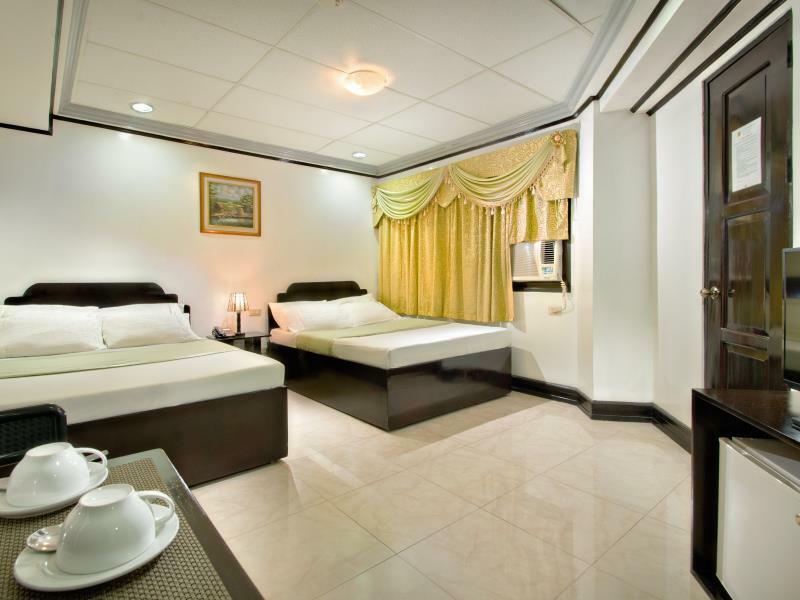 I booked this hotel for my parents who visited their relatives in Tagbilaran. This hotel offers free transport from and to the airport. My old folks were elated when they were picked up at the airport with their names on the signage. The breakfast included in the hotel was very ok- balanced and sumptous. The staff were friendly and ok. The room was big, although the tv was outdated but it does not matter. Overall, my parents were satisfied at this hotell. Highly recommend this. Staffs are highly commendable and helpful. Breakfast is delicious. Good place to stay with free breakfast and nice staff, large room with good working a/c although the shower head needs replacing since it was spraying all over the place but at least had hot water. Great location (near the airport). The staff were very friendly and approachable. The room was clean and well-maintained, although the bathroom could use more work. The breakfast was superb. Overall, I enjoyed my stay here. Would recommend this to future travelers in Tagbilaran. The staff are accommodating. We arrived in the hotel around 10:00 in the morning and they let us leave our bags in the room. They assisted us in bringing our staff in our room since we stayed at 3rd floor and there is no elevator. The breakfast is delicious and very complete meal.